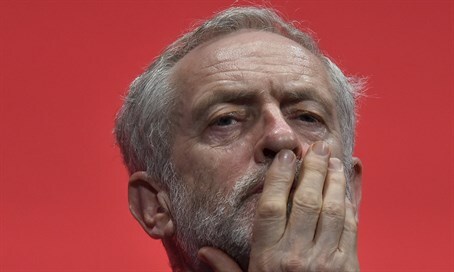 As the UK Labour Party continues trying to fight allegations of pervasive anti-Semitism, party head Jeremy Corbyn has stepped back from his notorious statement calling Hamas and Hezbollah "friends." Corbyn testified at the Home Affairs Select Committee inquiry into anti-Semitism on Monday, in what the Jewish Chronicle reports is the first time an opposition leader has testified at a select committee hearing. He began by insisting that he has opposed racism throughout his career and claiming to have worked at eradicating anti-Semitism from the party. "A long time ago there were sometimes anti-Semitic remarks made, when I first joined the party and later on. In recent years, no, and in my constituency not at all," he said. "I received the reports and thought the best thing to do was set up the (Chakrabarti) inquiry." However, Committee chair Keith Vaz said that Chakrabarti's final report was biased and tried to show the party in a good light. "It was hardly an independent report. She joined the Labour party. She referred to ‘we’ in the Labour party, so it’s not independent, that’s why it’s been criticized." Vaz questioned Corbyn over his well-known affiliation with known anti-Semites and anti-Israeli activists, and asked whether he is "fostering a period where anti-Semitism" exists in Labour. "That is unfair. I want a party that is open for all," answered Corbyn. "There are many Jewish groups in the party, some are critical, some are not." When asked whether he supported former London mayor Ken Livinstone's claim that Hitler supported Zionism, Corbyn said: "Ken Livingstone made remarks that are wholly unacceptable and wrong." He similarly denounced other Labour members who made public anti-Semitic remarks, such as Jackie Walker. As for his infamous remark that Hamas and Hezbollah are "friends," he said that the term was "inclusive language I used, which with hindsight I wish I had not used. I regret using those words." After the Committee repeatedly asked him about Hamas's charter, he acknowledged that it is anti-Semitic. At the same time, though, he denied that his controversial comment last week was intended to compare Israel and ISIS.